Looking for a Get Well gift for an animal lover? 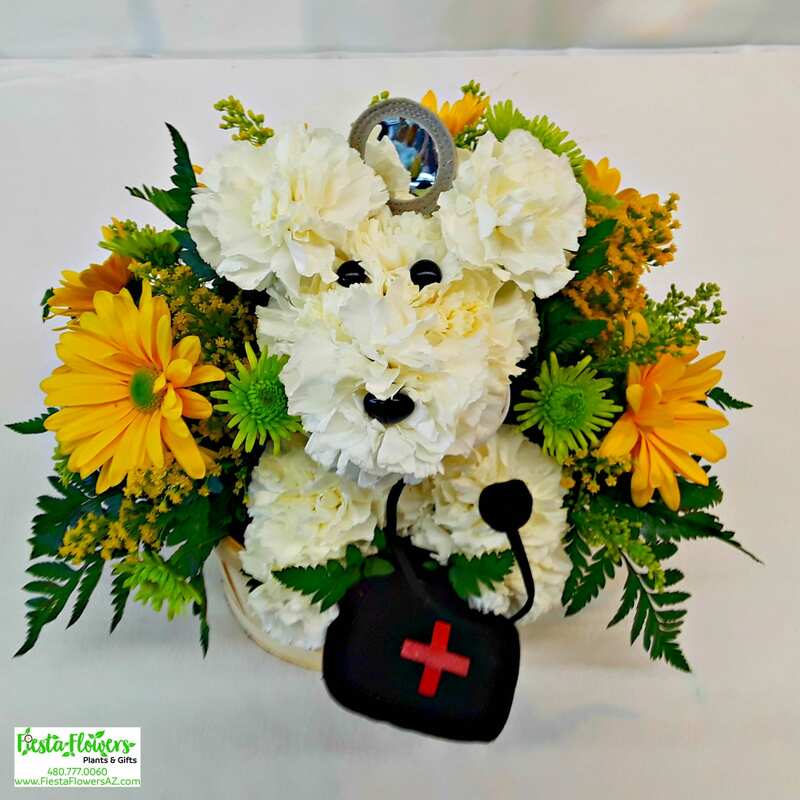 Our Doctors In Pooch includes our classic Fiesta Pooch holding a medical bag, and wearing a stethoscope and medical head mirror. Bright yellow Daisies and garden flowers will bring cheer to any room!